According to a new report, Thor franchise star and the latest Sexiest Man Alive, Idris Elba is officially in talks to star in Deeper. The movie is described as being similar in tone to Gravity and The Martian. It centers on a disgraced astronaut who is on a deep-sea dive exploring a newly discovered trench only to find himself confronted by a sinister and dangerous force. Elba would be playing the astronaut, assuming his deal gets done. This also sounds quite similar to The Abyss, given the description. 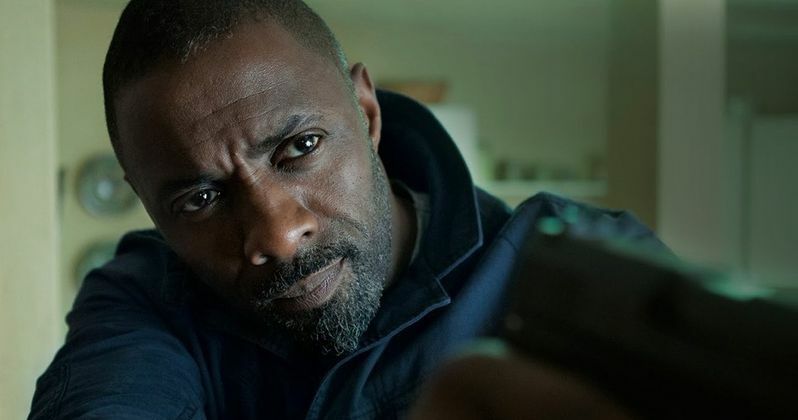 This would be the latest high-profile gig for Idris Elba, who is one of the top leading talents in the business right now. He's also starring in the movie adaptation of Cats and is set to headline George Miller's long-awaited follow-up to Mad Max: Fury Road, Three Thousand Years of Longing. He's also playing the villain in the upcoming Fast and Furious spin-off Hobbs & Shaw, which just debuted its first, absolutely insane trailer online recently. MGM initially purchased the script for Deeper, for seven figures, back in 2016. At the time, Max Landis was asserting himself as one of the top-earning screenwriters in the business, having penned the found footage hit Chronicle and Netflix's Bright. At the time, Bradley Cooper and Gal Gadot were attached to star, with Kornel Mundruczo (White God) on deck to direct. But things started to fall apart as key players departed the project one by one. That left MGM with a dilemma; replace those who left or chalk this one up to a loss. Given what they paid for the script, the latter option is certainly less appealing. However, Max Landis was accused of sexual misconduct by multiple women in late 2017. Since then, he's stayed completely away from Twitter and has lost much of the momentum he had going. Putting this movie into production now, given the accusations made against Landis', could bring some controversy to the project. But MGM seems intent on soldiering on and they're able to attract A-list talent to star. Baltasar Kormakur, whose previous credits include Adrift and Everest, is currently attached to direct. David Goyer, Kevin Turen, Russell Ackerman, John Schoenfelder are set to produce alongside Max Landis which, again, could prove to be troublesome in the #MeToo era. Deeper does not yet have a release date set. This news was first reported by The Hollywood Reporter.